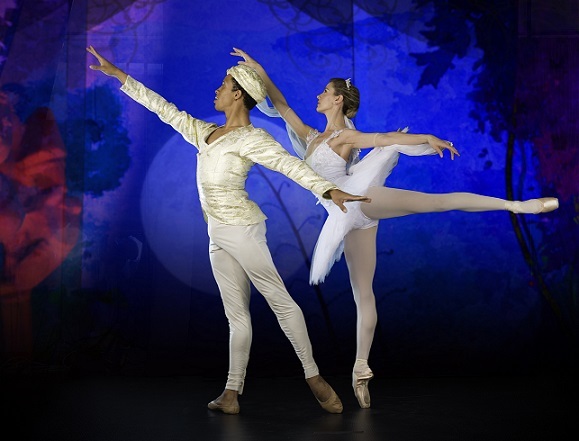 Classical ballet in grand style, Joburg Ballet’s La Bayadère is on at Joburg Theatre from 12 to 28 September 2014. Photo courtesy Joburg Ballet. Known as one of the greatest 19th century ballets, La Bayadère (or ‘the temple dancer’ in English) is set in the royal India of the past where the exotic story of love, betrayal, vengeance and justice unfolds. 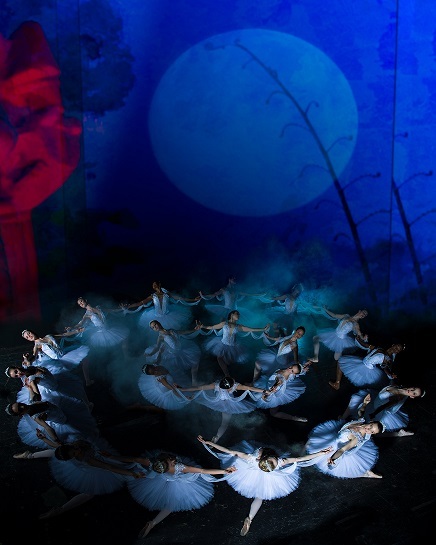 Marking a first for Joburg Ballet, La Bayadère premieres at the Joburg Theatre from 12 September through to 28 September 2014. 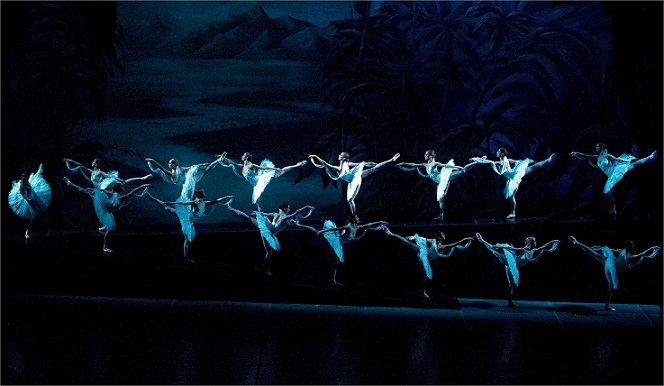 To stage such a big ballet as La Bayadère requires opulent stage sets and a large cast of dancers, particularly for choreographer Marius Petipa’s iconic Kingdom of the Shades scenes where columns of shades (spirits) descend with their synchronous arabesque sequence. 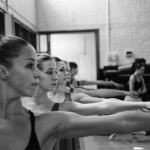 To achieve the grand scale, the company has assembled a large cast including Joburg Ballet’s own principal dancers, soloists and corps de ballet, a guest artist from the National Ballet of Cuba, dancers from the Joburg Ballet Academy, Joburg Ballet Cuban School, additional freelance dancers and extras, as well as two veteran ballet personalities for the mime roles. In celebrating 5 years of the South Africa-Cuba ballet partnership begun by CEO Dirk Badenhorst in 2009, Joburg Ballet has cast National Ballet of Cuba guest artist Luis David Valle Ponce in the lead male role for certain performances (see full casting below). Valle Ponce will share the role of the warrior Solor with Ramiro Samón, Juan Carlos Osma and Jonathan Rodrigues. As for the temple dancer Nikiya, the bayadère will be danced by Joburg Ballet’s prima ballerina Burnise Silvius as well as Shannon Glover, Nicole Ferreira-Dill and Lindé Wessels. The rival love interest of Princess Gamzatti will be performed by Claudia Monja, Angela Revie, Sanmarie Kreuzhuber-Hagler and Dayana Hardy Acuna. One of the ballet’s spectacular male showpieces, the Bronze Idol, will be shared by Luis David Valle Ponce, Javier Monier, Jonathan Rodrigues, Ramiro Samón and Randol Figueredo, while the two major mime roles – the Rajah and the High Brahmin – will be portrayed by the highly experienced Manuel Noram and Nigel Hannah. Dates: Fri 12 Sep 7:30pm (½ Price Night); Sat 13 Sep 3pm & 7:30pm; Sun 14 Sep 11am & 3pm; Tue 16 Sep 11am (School Performance); Sun 21 Sep 11am & 3pm; Wed 24 Sep 7:30pm; Fri 26 Sep 7:30pm; Sat 27 Sep 3pm; Sun 28 Sep 3pm.